Mark Loewenberg PA 561-214-0370: 14055 Banded Racoon Drive, Palm Beach Gardens, FL 33418 In Caloosa! 14055 Banded Racoon Drive, Palm Beach Gardens, FL 33418 In Caloosa! Wonderful, Turnkey Equestrian Property On 5 Fully Fenced Acres In Caloosa! Enjoy raising your horses in the 4 stall center isle barn with tack and feed rooms. This two story screened pool home has nature views everywhere around this home! 4 bedrooms, 3.5 bath rooms, 2 master bedrooms, one upstairs and one downstairs. Enjoy the beautiful hardwood flooring that came from a home on Palm Beach! Paver driveway, Formal living and dining rooms, cbs master closet built for weather protection. Needs to be seen to enjoy all that this home offers, especially the newer Master wing! Come out to view this premier equestrian home site! Congratulations on the new listing and for the local expert in the Caloosa area, this is no surprise from Mark Loewenberg. Hi Mark. Congrats on this great looking listing at 14055 Banded Racoon Drive in Palm Beach Gardens. 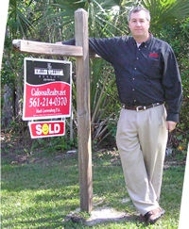 excellent property for caloosa buyers looking for premium homes!